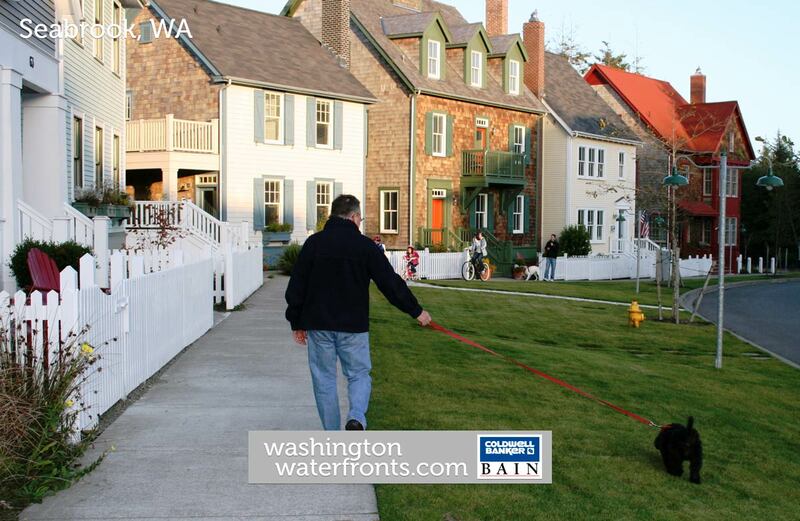 Seabrook is a relatively brand new beachfront community in the North Beach district of the Washington Coast. Originally founded in 2004 by developer Casey Roloff, Seabrook has seen incredible success in establishing itself as a vacation rental destination featuring incredible elevated vistas overlooking the Pacific Ocean. As the town continues to grow, more and more beachfront amenities will be added to the burgeoning new beach town. Considering its relative newness, Seabrook waterfront real estate is at a premium. As a one-stop-shop, the developer/builder is constructing some of the most spectacular residences along the Washington Coast. While you can certainly find multi-million dollar oceanfront compounds, their most recent offering includes more affordable homes relative to their earlier offerings. An interesting thing to note, Seabrook waterfront real estate is typically not listed in the MLS, so be sure to contact our Waterfront Specialists to learn what is truly available in this growing new community. As always, while you browse the Seabrook waterfront real estate below, if you have any questions, please don't hesitate to contact our Waterfront Specialists, we are more than happy to help you find the perfect waterfront home!